As you can probably tell from the posts on this blog, I’ve got a thing for Ohop Valley. It’s in no small part because I live there, my parents lived there and my grandparents moved there to farm in the 1940s. I’m always buying postcard on Ebay. But the ones I like best are the ones that have been mailed. This works out great, because for some reason they are usually the most inexpensive. For Ohop Valley, I like to see what people where doing back then. In this case, the writer was doing a LOT of canning. And it’s also great to confirm the date on of the photo taken. 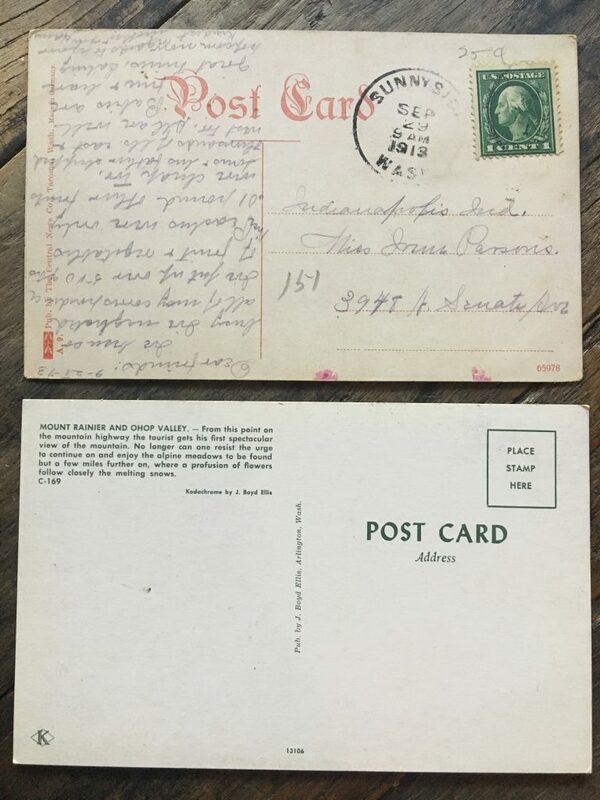 Here are two postcards — one mailed September 29, 1913, (the same time Houdini is performing for people in a straightjacket) and one I believe is about 50 years later taken in the 1960s. 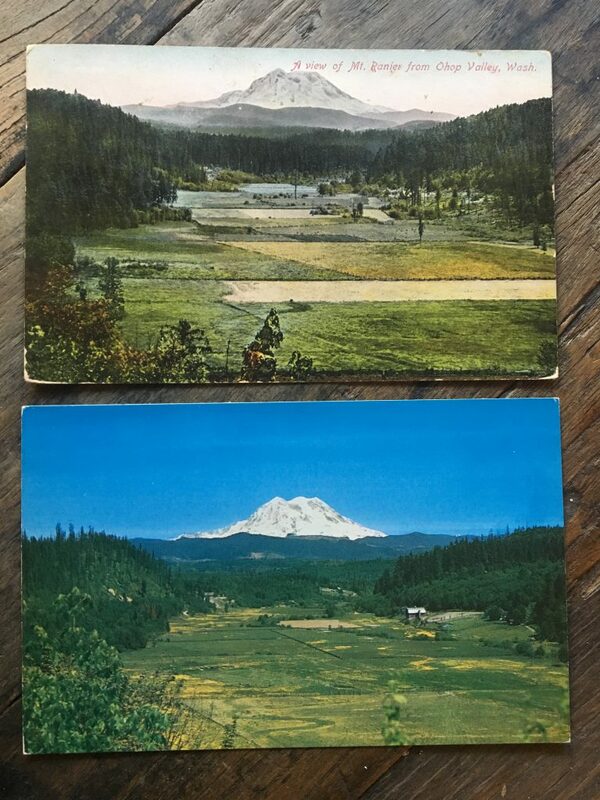 Fifty years between these post cards and the valley looks amazingly the same. Kind of nice.